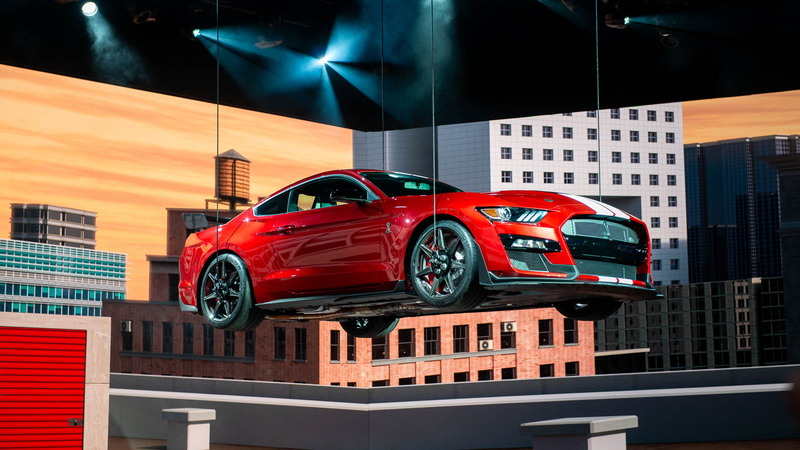 On Monday, the 2020 Ford Mustang Shelby GT500 made its debut at the 2019 North American International Auto Show in Detroit, and the automaker said it's the pinnacle of the sixth-generation pony car. 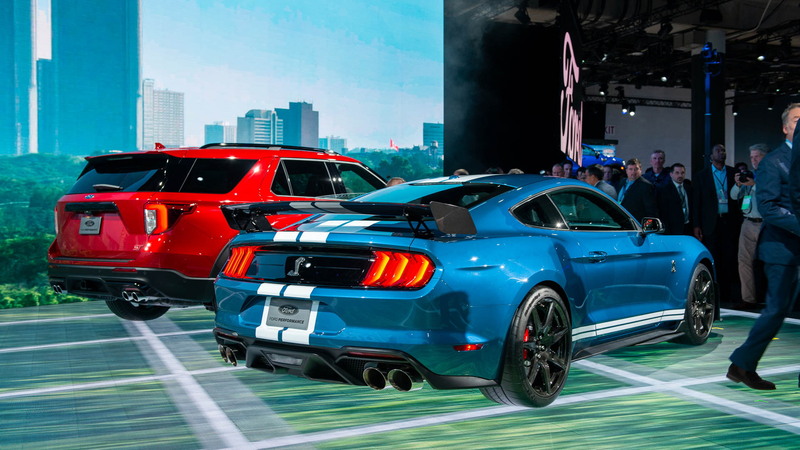 The heart and soul of the 2020 Shelby GT500 is a 5.2-liter V-8 engine force fed by a 2.65-liter Eaton supercharger spooling 12 psi. The supercharger is mounted low in the valley of the big V-8 with a low-profile design as Ford didn't want it to stick up and create a hood bulge. 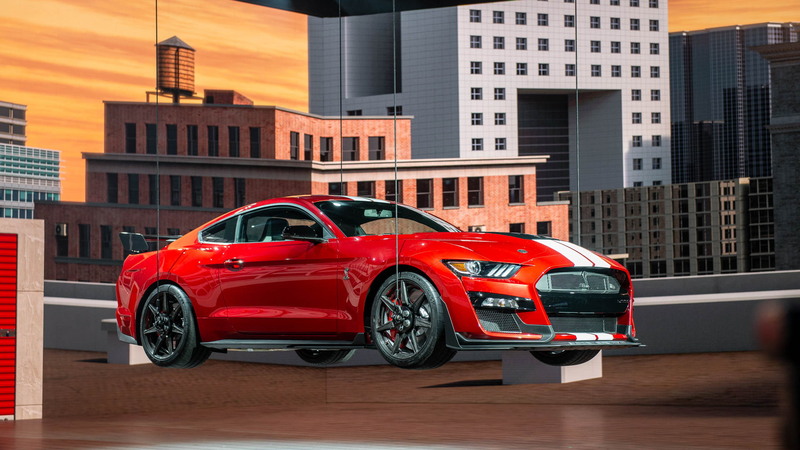 While the block is the same as the Shelby GT350's 5.2-liter engine, the internals are reworked, as the GT500 features a cross-plane crank along with with beefier block and cylinder walls, different bolt lengths, ribbing, and valve seats. To handle the G-forces around on the a race track, the GT500's oil pan features active baffling and side tanks. A magnesium tower brace is supposed to keep the engine from twisting. Each engine is hand built by two people and will be signed by the builders. To keep everything cool, Ford's installed six heat exchangers into the front along with an auxiliary radiator. Ford didn't announce final power outputs, but said they would detail more closer to the car's launch this fall. 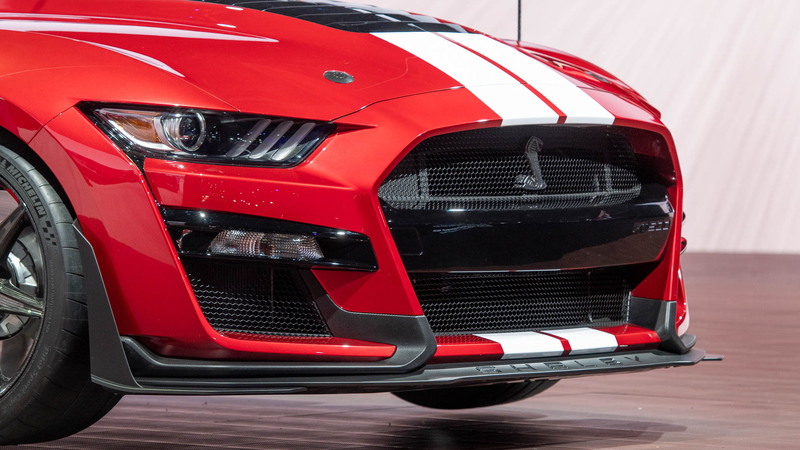 One tantalizing detail: the GT500 will have more than 700 horsepower. 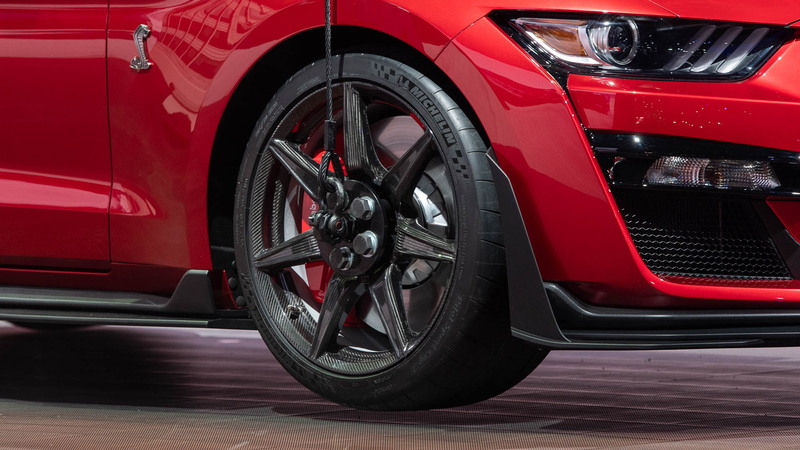 All that power will go straight to the rear wheels via a Tremec 7-speed dual-clutch gearbox controlled via a rotary gear selector, with three of those forward gears being overdrives while 4th gear is a 1:1 ratio. Plastic steering-wheel mounted paddle shifters let drivers to control gear input. Even though the GT500 uses a 7-speed dual-clutch gearbox like the Ford GT, they're different transmissions entirely due to the differences in engine configuration. Ford developed four drive modes for the transmission: normal, weather, sport, drag and track, and there's also a line lock feature. From the A-pillars forward, the 2020 Shelby GT500 is new. The front fenders are wider than every other Mustang on sale today to fit the wide front wheels, and both the fender and hood are made out of SMC fiberglass. Due to the high speeds the GT500 can achieve, Ford's installed hood pins as standard equipment. Out back, the rear diffuser is made out of composite material so it won't melt from heat produced by the quad exhaust tips.